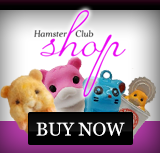 Hamsters are part of the rodent family and have long been the favourite choice of small animal to keep as a household pet. The name has German derivatives and simply means to "hoard" which is of course one of their most endearing qualities known to us all. Being nocturnal creatures they like to snack in the small hours so they use their stored food at this time to keep them going while they are at play. The best all round choice of feeding would be a top quality commercially prepared hamster food mix which should contain various types of seeds, different grains with the addition of cracked wheat. It is very important that you feed your hamster on a fairly rigid balanced diet to ensure maximum health simulating their food as far as possible to their homeland diet which consists of assorted seeds and grasses. Surprisingly they are actually omnivores and therefore rely on a high protein intake to guarantee their health. Hamsters digestive systems work fairly slowly therefore making meal times a lengthy process and they must be fed on a daily basis, keeping a close eye on their intake as they can become very selective feeders and will choose their favourite foods which may not always be the best for them as hamster food needs to keep its balance of different elements. If you choose to offer them nuts do this in moderation as some types can be very high in fat and will not compliment any diet. Also it should be possible, given the range of hamster food on the market today, to avoid heavily processed and refined foods and use fresh supplements such as fresh green vegetables, carrots, raisins, apples, cauliflower and even dandelion greens. 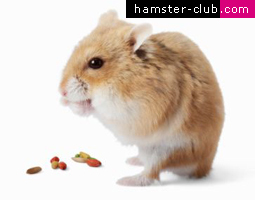 It is always prudent to check carefully before using any new foods including fruits and vegetables as not all are good foods for hamsters and given that they are very small creatures could have a serious health impact on them. Make sure the foods are served at room temperature and are freshly washed to eliminate the possibility of contamination, also offering a daily portion of high quality hay to aid their digestive systems. 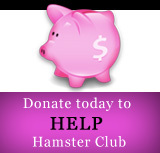 Hamsters are natural foragers so they would be very happy to find 'treats' deftly hidden in their cage to encourage this instinct. If you are using a product purchased from a pet shop or supermarket make sure that it is low in fat and does not contain too much sugar and always remove any uneaten foods from the cage especially in the summer months as it can rapidly decay and attract unwanted insects and parasites. If for any reason your hamster shows tendencies towards selective feeding you should immediately cut down on the normal portion size and gradually build-up to the daily allowance.